Boisdale is a beautiful self-catering cottage in the village of Findhorn on the Moray Coast. 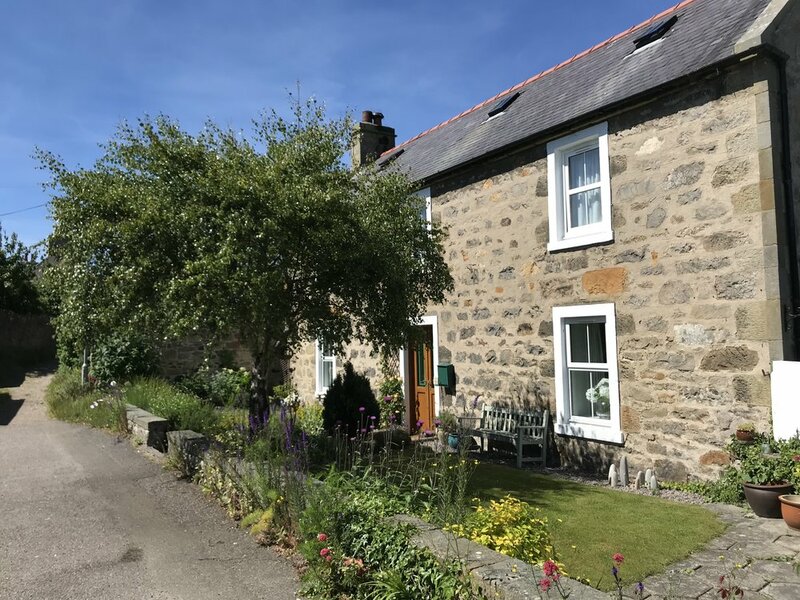 Located in the heart of the village, moments from the beaches, the Bakehouse Cafe and the Kimberley Inn, and within easy distance of some of Scotland's most beautiful landscapes, the cottage is the perfect place to relax and unwind with family and friends. After a day out and about in Findhorn or beyond, enjoy a cosy evening in front of one of the wood burners, or a meal around the traditional oak table. With four restful bedrooms (two with king sized beds and two with twins) there is space for the family, friends or visitors. Whilst the cottage is comfortably large enough for 8, it is great for smaller groups and doesn't feel too large for couples or a group of 4. The garden is a great spot to enjoy a barbecue or home made pizza cooked in the pizza oven. From July 2019, the cottage will also have a trampoline in the garden. Two well behaved dogs are very welcome! We hope you love Boisdale and Findhorn as much as we do and look forward to your stay.